Victor Calderone, world-renowned DJ and Club World magazine’s “Best Resident DJ” for his residency at New York’s Pacha, has heard it all. When you’re in the business as long as he is (20 years and counting), you understandably develop niches and certain trademark sounds that you’re known for. Fair enough. But name one DJ that’s survived and thrived for that long resting on the same sound over and over. 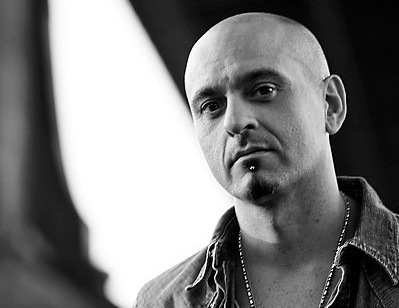 Victor Calderone has long earned his bona fides among deejays as a sonic innovator in house, techno and tribal music. His sets draw thousands of people. His mixes listened to all over the world. For Calderone, it boils down to one word that acts as both his brand, mantra and raison d’etre: EVOLVE. As a 15-year-old in Bensonhurst, Brooklyn, Calderone quickly became obsessed with his older brother’s DJ equipment, spending virtually every day on his turntables and every dollar on records. A frequent patron at classic nightspots Funhouse and Paradise Garage, Calderone’s Program Two was signed by Sire Records in 1991 and released one album before an self-imposed extended hiatus from music. In 1996, he returned to the music scene and quickly became one of dance music’s top producers and live deejays, releasing a steady string of original productions and remixes. But now it’s time for the next chapter. After a long string of successful albums and singles, Calderone established his Evolve brand in 2005 as a way to coalesce his numerous residencies around the world, including Montreal, Tel Aviv, Bulgaria, and a monthly residency at New York’s Pacha. With the Evolve brand now taking off globally, clubgoers have quickly begun to equate the word with joy-inducing, risk-taking sets that shatter musical boundaries and the conventions of what a DJ set “should” be.